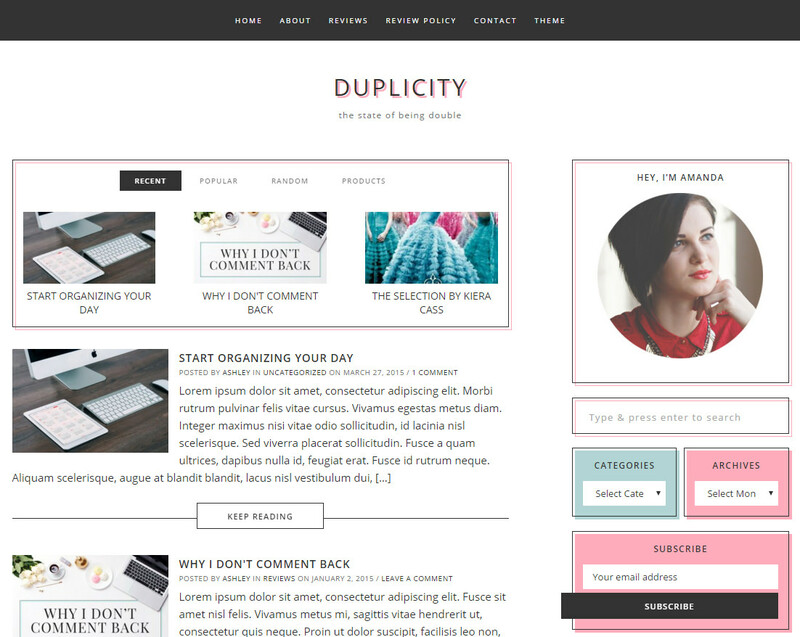 Duplicity is all clean lines and elegant minimalism—perfect for a professional blogger. Plus it’s been tested with WooCommerce in case you plan on selling products. 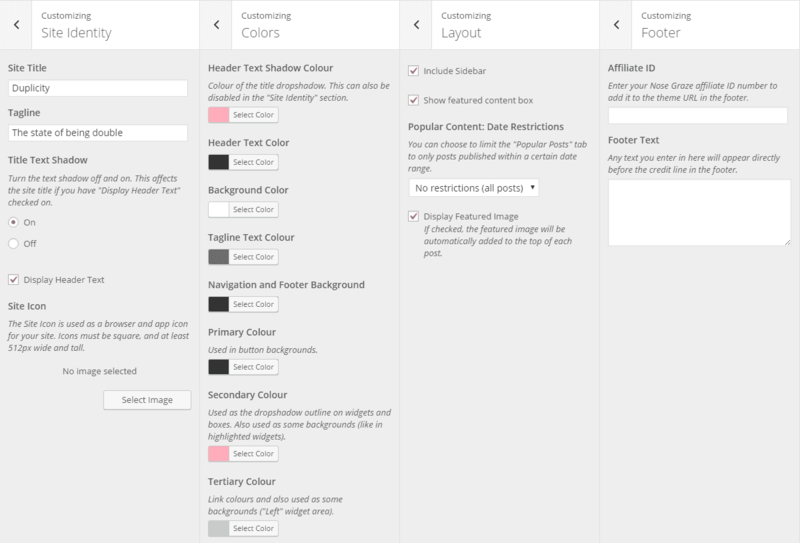 Customizer integration (change the colour scheme!). Featured post/product box on the homepage. 9 widget areas including: sidebar space, after header, after blog post, and footer widgets. WooCommerce tested — set up your own online shop. You can check out the theme demo to see the theme in action. You can also create your own test site to poke around the admin area and play with the theme settings. Added support for Novelist plugin, including templates for archive-book.php and Novelist taxonomy archives. Thumbnails will now check for a UBB cover image if a featured image isn't set. Numbered the table of contents. Added comment reply link to comments. Fixed a problem where changing the primary colour adjusted the text colour AND background colour on tags, thus making the text impossible to read. Now it only changes the background colour. Added text domain to style.css. Featured content now only shows posts with the status 'publish'.